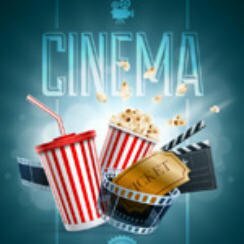 Fancy taking in a movie at your local cinema over the coming days, then what you need is a complete rundown of all the latest releases along with their film trailers. Well you’re in luck as Popcorn Cinema does just that every Thursday. One of the highlights this week is First Man, a film that sees Ryan Gosling play Neil Armstrong as he bids to become the first man on the moon. Also out this week is the classic John Carpenter slasher movie Halloween (1978) returning to cinemas for a limited time. So settle back and grab some popcorn as we take you through all of this week’s new releases; these are the cinema releases for the 12 October 2018 in the UK & America. With the new Halloween film fast approaching it’s time to take a look at how to really make a horror masterpiece from the master of horror himself John Carpenter. Yes Halloween (1978) returns to cinemas for its 40th Anniversary for a limited time, this is a must see for all horror fans.